This board allows LPC824 (ARM Cortex-M0 + Core) from NXP to operate on mbed developing environment. It operates at CPU frequencies of 30 MHz. Please note that mbed SDK of this platform supports SWM (switch matrix) function, so you can assign any pin to any function such as Serial, SPI and PwmOut except AnalogIn and I2C0. Micro-B comes with a receptacle. It will read the drive just like the other mbeds through USB cable. Just a quick drag 'n drop of downloaded binary files and you are set to start programming on your micro controller. Please be advised to choose "Switch Science mbed LPC824" when developing on mbed online compiler. 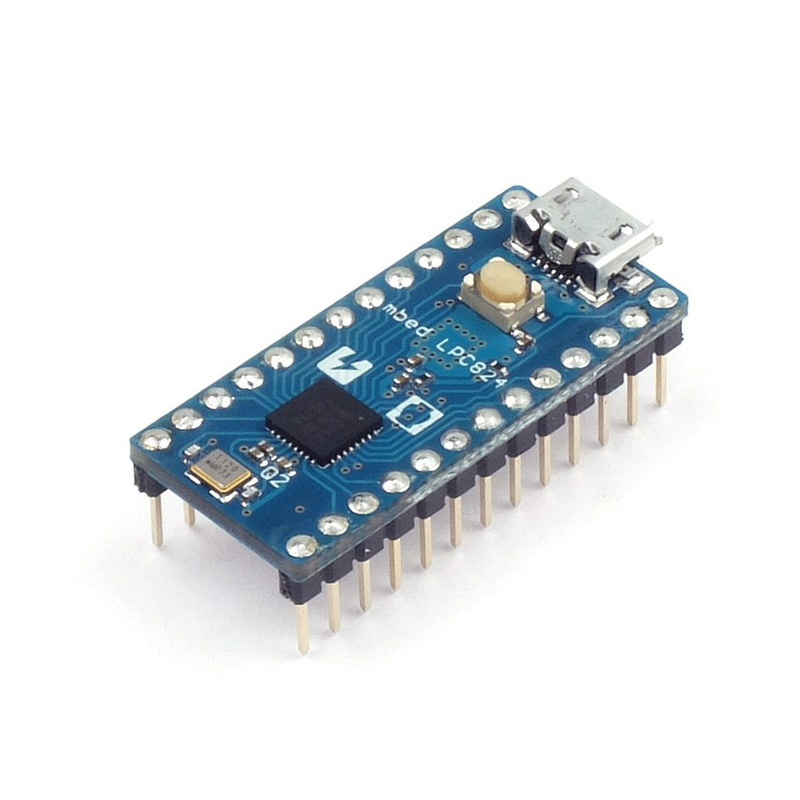 The interface chip on this board not only programs through drag 'n drop, but also has YSB-UART bridge and a CMSIS-DAP debug adapter.One of the UART of LPC824 is connected to USB-UART bridge , therefore serial transmission is available right away. 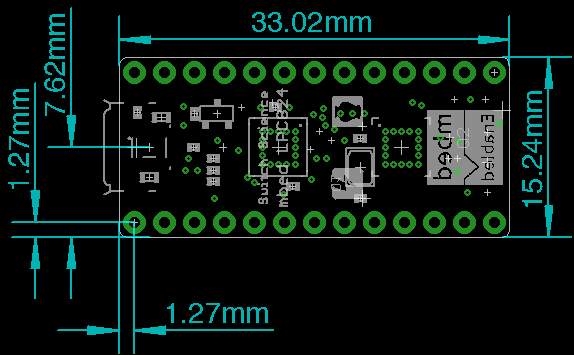 mbed LPC824 supports mbed2.0. Please be informed that there are no plans in supporting mbed OS 5.0. Please remove the sponge when applying. This sponge is to prevent static behavior occurring upon dispatch. "When your Windows computer fails to read"
1.) Download the mbed windows serial port driver. 2.) Run the installer With your mbed plugged in, and no explorer drive windows open.